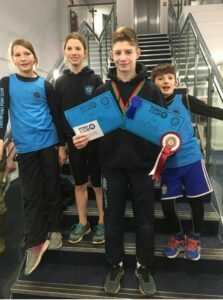 Another fabulous day for Ludlow Hunt Pony Club with 5 of our members qualifying for the Winter Triathlon Championships. 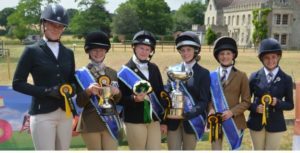 Congratulations to Poppy May, Thomas Brown, Lucinda Evans, Tilly Evans & John Griffiths. Mini Girls – Holly Morris, Emily Walsh & Abigail Bradley – Team 6th & Holly Morris 6th individually with Best Swim. Tadpoles- Dylan Walsh 3rd & William Morris 4th. Congratulations to our members who competed today at the Area 10 Triathlon at Monmouth ! 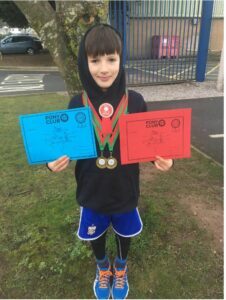 Dylan Walsh came 2nd in the Intro Boys class with Best Swim & Run. 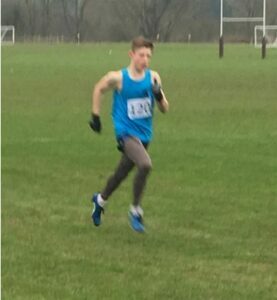 Tom Brown won the Junior Boys & had the Best Run. Emily Walsh & Abigail Bradley in the Mini Girls class both had PBs in the Run & Swim but on this occasion where out of the placings. Well done all, a good start to the year ! 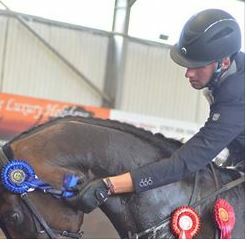 Fabulous day at Regional Show Jumping Championship. 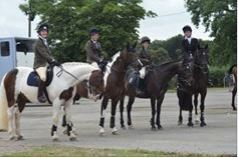 Our squad all rode brilliantly and our team of Abigail Bradley, Tilly Evans, Meg Ferriday and Ellie Jones came in 6th place !! 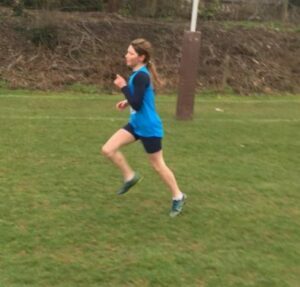 Thank you Hannah Jackson for course walking and to all the parents who supported in very trying wet conditions . 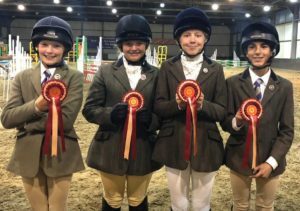 More fantastic results from the Regional Championships with our eventing team finishing 10th and Ellie Jones was placed 8th individually… brilliant results, well done girls! A massive thank you to parents and support teams at home ..it’s a massive team effort all round! 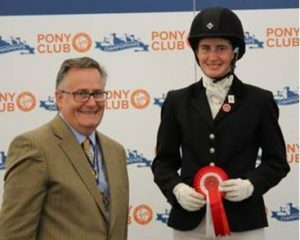 First up was Alice Salwey who rode as an individual, she rode a lovely test to finish 8th which was a fantastic result, well done Alice! Open Dressage of Team of Becky Parsonage, Rosie Whitney, Anthony Cannan & Holly Powell finished a respectable 15th (out of 33) as they are all new to the level except Becky this is a brilliant result, Becky finishing 2nd in her section and went through to the ride off (Top 2 from each section, 12 riders in all) they then rode the test again in front of 5 of the section Judges, Becky finished 6th which was an amazing achievement particularly as this is Billy’s first time at Open, when you reach the ride off you are competing against the best of the best in the country so Well done Becky! decided it wasn’t their day, the general consensus was they all learnt loads and bring it on for next year! F red Powell was also competing on Saturday in the Open Individual Show Jumping, he did a near foot perfect first round clear only to then have an unlucky pole in the second round which although there was only 4 double clears left him in 16th place (out of 60) as only the double clears jumped off and the 4 faulters were placed on their time. 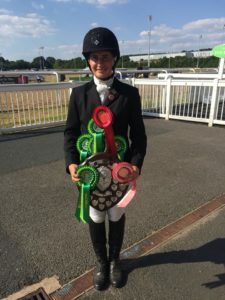 PC100 Eventers Tamsin Hallett and Harry Finch were our last members to complete at these Championships, Tamsin did a very competitive dressage test on Monday and followed it up with a cracking double clear on Tuesday to finish 15th, brilliant well done Tamsin! 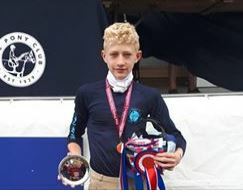 Harry was not so fortunate, after an issue in the dressage it seem to set the tone for the rest of the day so wasn’t to be this time but he’ll be back, watch this space! 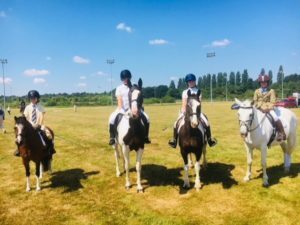 We have to salute the amazing stamina of our instructors particularly Rosie who did a 6.15am course walk with Tamsin & Harry and Gary who was warming up for dressage, show Jumping and XC and still manage to be everywhere on time despite some dodgy directions from Amy at one point! & our Mixed Junior Team also won !!!! As “Team Manager” I’m suppose to give you a full report on the occasion, but as many of you will already know from all the posts …we won ! 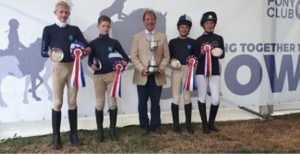 Our Junior Mixed Team – Holly Bailey, Matilda Wall, Charlie Brown & Thomas Brown – are the Pony Club National Tetrathlon Champions of 2018 with Charlie Brown taking the title of Junior Boy Champion ! Their performance was amazing winning by 820 points ! However, in all this excitement we must not forget our 2 other members who competed as individuals, who also did fabulous in their own right. 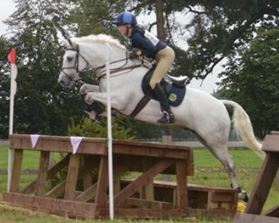 Poppy May came 13th in the Intermediate Girls with a fantastic run & a lovely clear XC round. 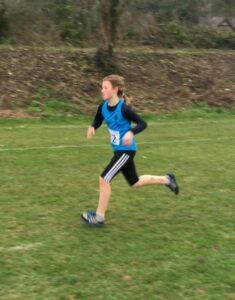 Tilly Evans in the Junior Girls, albeit out of the placings this year, put in a great performance & I’m sure with her determination will be back next year ! We need to thank Rosie Thomas for coming & doing the course walks & warm ups with us on the Saturday & Amanda Barker for supporting us & taking some lovely photos of the XC. 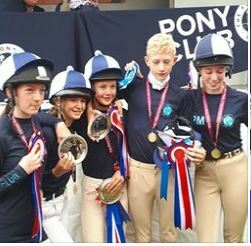 We need to thank all the parents & siblings who came along as the back up team, who fetched & carried both for the athletes & horses. It was a fantastic weekend with many memories made, not just because of the results, but also for the fun had by all ! What a day – with very mixed results. IT was great to see so many smiling faces, even when things didn’t go to plan, team spirit and support was brilliant. 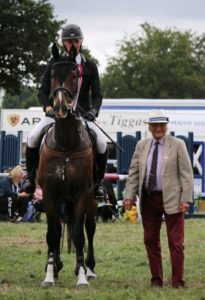 A mahooosive thank you to Rosie Thomas who also drove team members and ponies, when lorries and 4 x 4 trucks had broken down and Hannah Jackson who were with us every step of the way, both were hugely helpful and we are very lucky to have them. 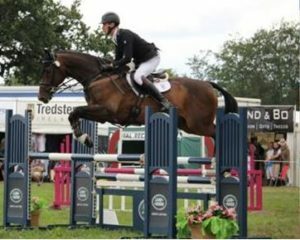 Fred Powell managed 3 great clear rounds and ‘just pipped’ the competition in the jump off to win the open and qualified for Championships. 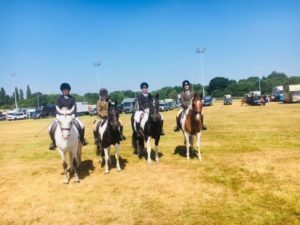 Novice – Ludlow Swifts were placed 7th (Alice Salwey, Izzy Griffiths, Holly Bailey & Lucy Ayres) and Congratulations to Alice Salwey who jumped 2 beautiful clear rounds and just got pipped in the jump off to finish individually 7th and qualified for the Championships. 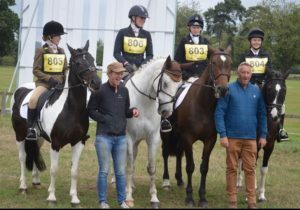 Our second Novice Team – Ludlow Swallows (Molly Ridgeway, Megan Caine, George Barker & Imo Blower) were placed 3rd in the Tack n Turnout. 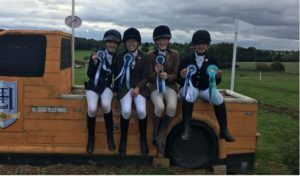 Both our regional teams were super heroes and the stars of the day- with Ludlow Larks (Ellie Jones, Ollie Smith, Abbi Bradley – ind 9th & Meg Ferriday – ind 6th) all jumping 2 clear rounds and going clear in the jump off and finishing 2nd in a nail biting final, therefore qualifying for the Championships. Ludlow Linnets (Abbi Davies, Scarlett Bailey, Chloe Potter & Tilly Evans) went through to the jump off on only 4 faults, only just missed out on a team placing. But Chloe qualified for the Championships which is fantastic as its her first time at area competition and on a new pony !! 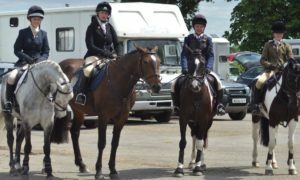 Well, what a day for Area Eventing @ Offchurch Bury and what a day the Ludlow had ! 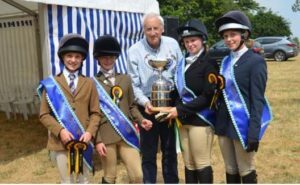 Our Novice Team WON, (90cms) bringing back the beautiful Rose Bowl Trophy to Ludlow, with Alice Salwey winning her section, Izzy Griffiths coming 3rd, Lucy Ayres and Flo Bury both coming 4th in their sections and so the team qualified for the Championships ! Last but by no means least were our Regional teams (80cms). The awesome team of Ollie Smith, finishing 2nd in his section, Meg Ferriday finishing 4th, alongside Eliza Hallett and Scarlett Bailey came 2nd over all, qualifying for the Championships ! The second regional team did a fab job and Ellie Jones finished 8th in her section and also qualified for the Championships. 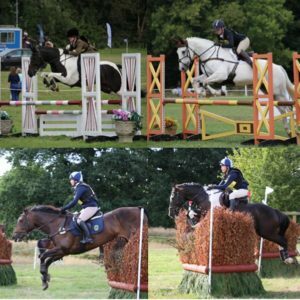 A massive thank you to Rosie Thomas and Gary Morgan for juggling course walks, warm ups and encouragement all day – hugely appreciated x Also a big thank you to Arabella Salwey our eventing team manager who has helped put teams together and get everyone organised. 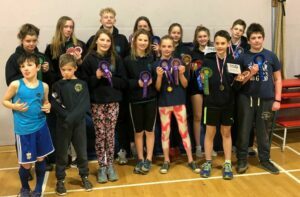 Congratulations to everyone who took part at the Area 7 Tetrathlon this weekend at Whitfield Farm, Ettington, Stratford upon Avon. 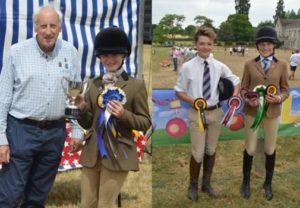 Some fantastic results for the Ludlow Members in some very hot weather! 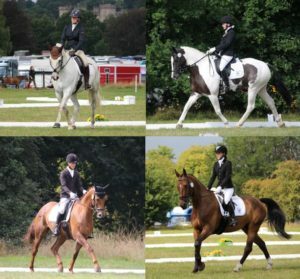 Poppy May, Charlie Brown, Thomas Brown, Matilda Wall, Holly Bailey & Tilly Evans all qualifed for Championships in August! 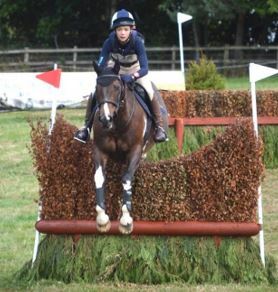 This year we only had one Intermediate Girl taking part – Poppy May. She started the weekend off winning best run & finished with a lovely clear XC, which meant she took 2nd place individually. Our Junior Girls & Boys all did fabulous too. 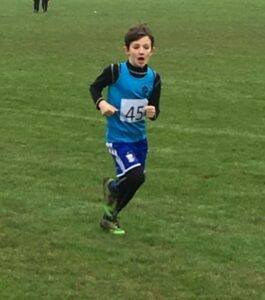 At the end of the 1st day, in the Junior Boys section, Charlie Brown went into XC day lying 1st after getting best run, shoot & swim with his brother Thomas lying 2nd behind him. 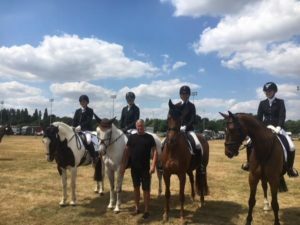 Four beautifully turned out teams turned up at Wolverhampton racecourse for the area dressage on Saturday. 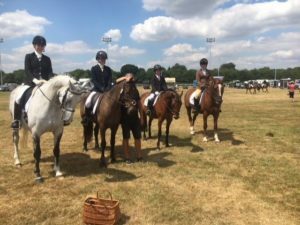 Everyone produced really good tests – a credit to their pony club and their instructors, even if the children were sweltering in the midday sun. 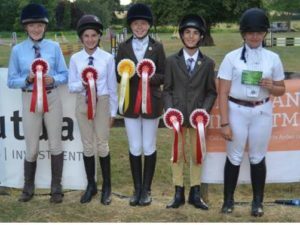 Ludlow were also in the ribbons with Ollie Smith and Alice Salwey coming 4th and 5th in their sections in the Novice and their team coming 6th along with Elisa Kinsey & Matilda Wall. Ellie Jones coming 5th in her section in the grassroots. Thank you so much Gary Morgan for giving up your Saturday and to all the children looking so beautifully turned out and smiling their way through on another baking hot day.